Happy Monday everyone and I hope you had a beautiful weekend. 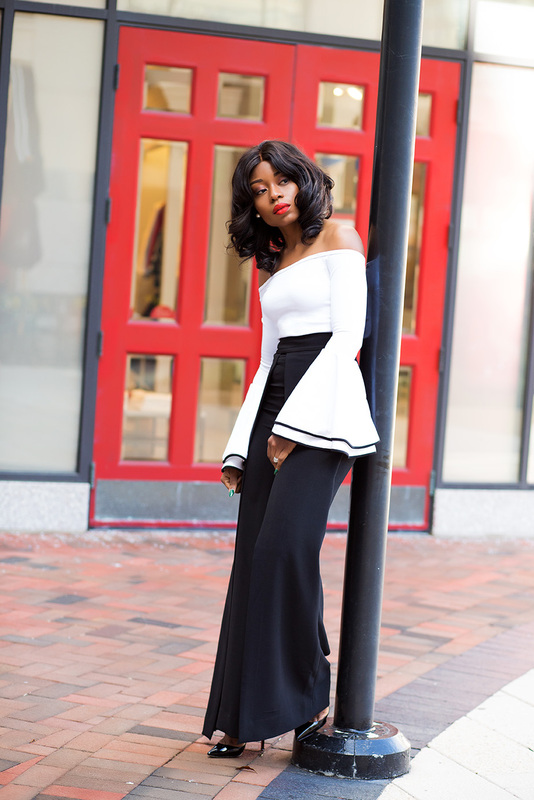 If you feel this black and white ensemble looks familiar, you are absolutely correct; I featured it in a ‘boomerang’ video post on Instagram﻿ a couple of months ago. 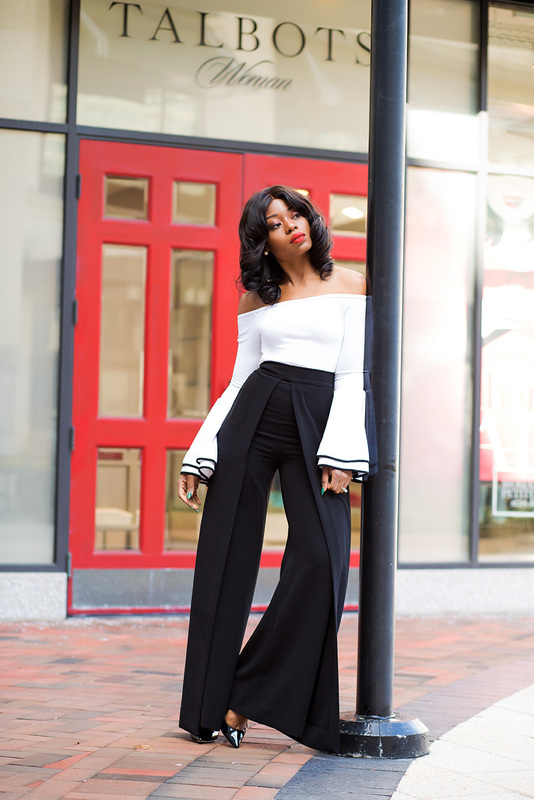 This Aqaq pants is now one of my favorite wide-leg black pants and the fit, style and length is amazing. 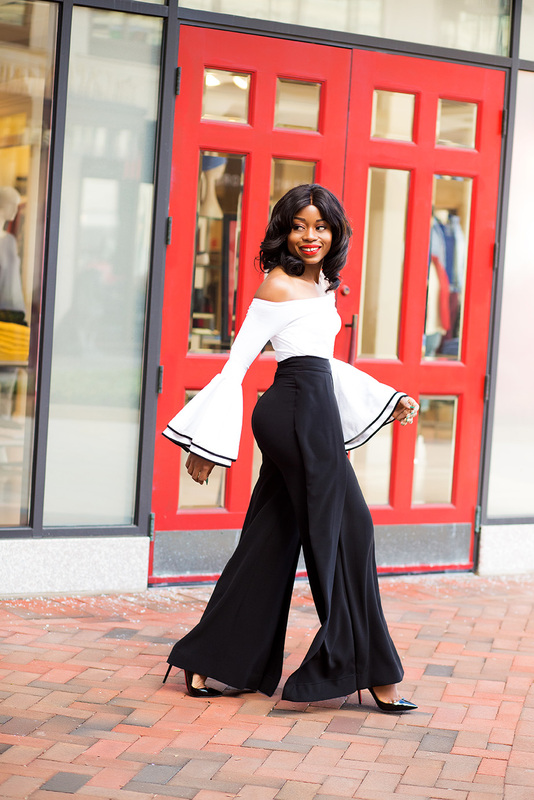 I always have a hard time finding wide-leg pants with a great fit when paired with heels hence, the reason why I have worn this numerous times. I paired it with a bow crop top (here) and a white button down shirt (here). 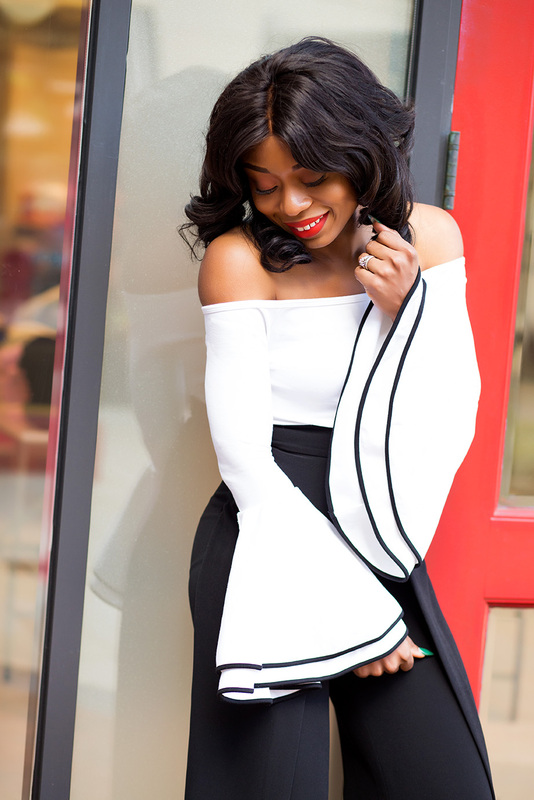 For this post, I paired with an off shoulder crop top, which I previously paired with overalls last summer (here). 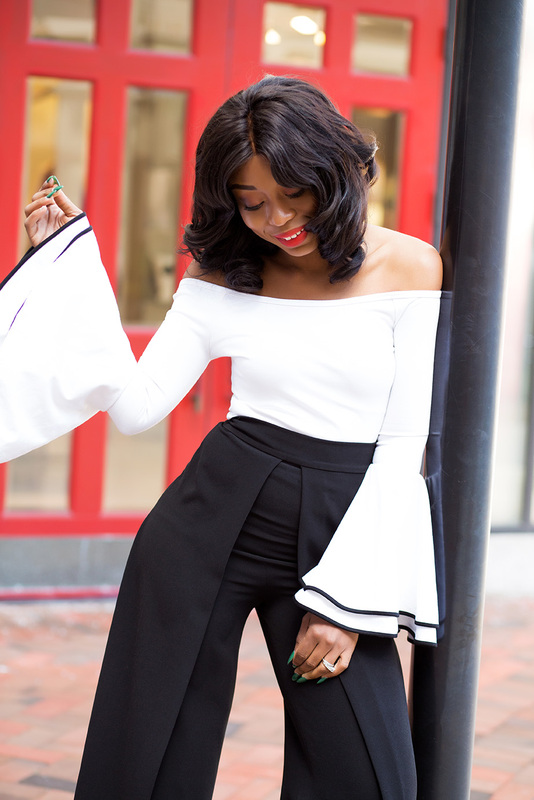 The exaggerated sleeves and flounced ruffle cuffs make it a statement piece and I love the stretchy and fitted feel. 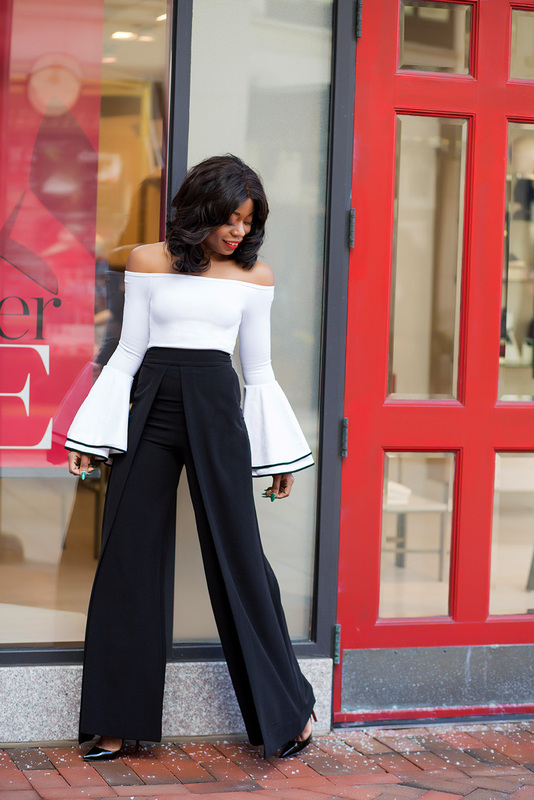 I love those pants girl, they are the perfect statement pants & that's a gorgeous blouse. The bell sleeves on your top are just unreal!! Love it!